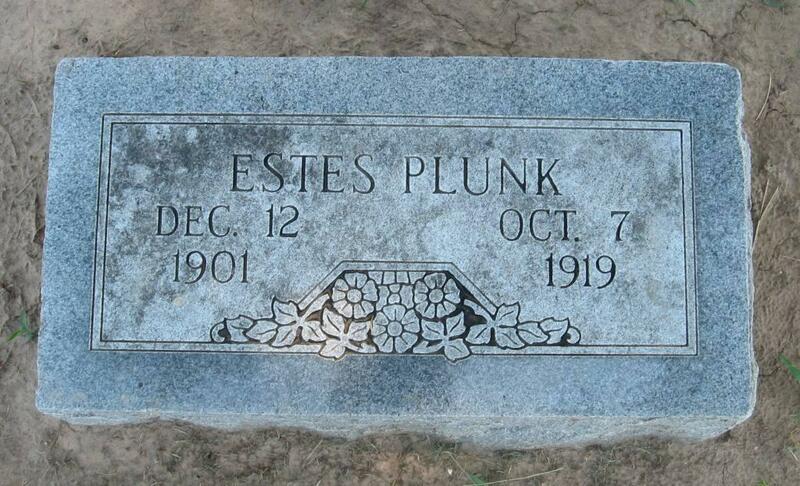 Estes Floyd Plunk, the son of David Brazille Plunk and Rosa Belle Kelly was born 1 Dec 1901, Doniphan, Ripley, Missouri. He died of scarlet fever on 7 Oct 1919, Wagoner County, OK. His mother, my great grandmother, kept a lock of his hair tied by a blue ribbon in an unmarked envelope in her dresser drawer. My mother told me it was still there at her death in 1970.